The most simple and elegant of spring flowers, the Narcissus heralds the impending change of season with golden fanfare. Its fragrance is also delightful, and an added bonus to the artist. 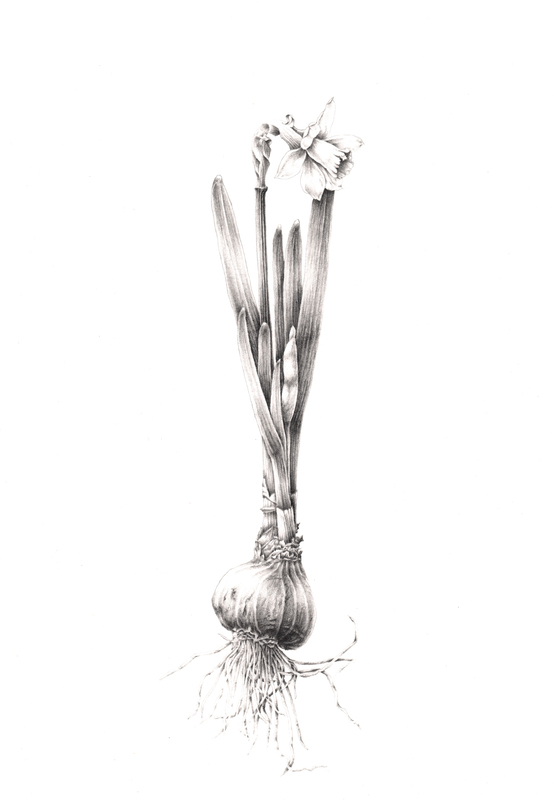 Tonal drawings are amongst the most appealing in the artist's spectrum of options. Softly revealing the shape of the plant, they render its colour secondary.